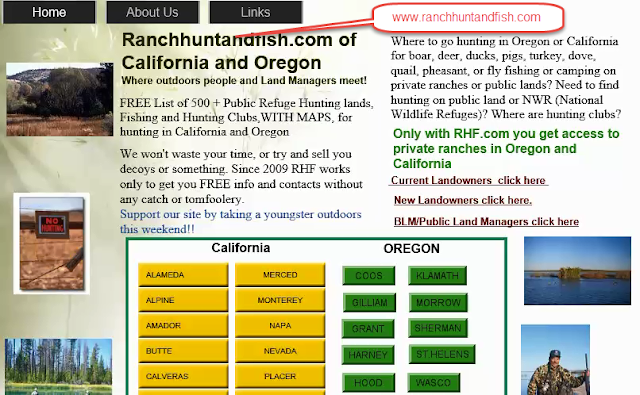 Lake Shasta 2019 Fishing Map with Private Ranch Fishing and Hunting Clubs in this area. Shasta lake has some of the state‘s best ﬁshing 15 miles north of Redding off Interstate 5, shoreline totals 370 miles, made possible by Shasta Dam, which was constructed in 1944. As out Fishing amp shows, tributaries to the Shasta Lake drainage are Sacramento, McCloud, and Pit rivers and Squaw Creek. Bass, trout, crappie, catﬁsh and bluegill, the spring and and fall are the two best times to ﬁsh the lake, casting Stanley chartreuse and white spinnerbaits right toward the bank. Largemouth can be caught mostly in the coves, pockets and areas where there’s structure. According to our fishing report, the berths close to Bridge Bay probably more ﬁsh per square-foot in this area than any other spot on the lake. Plastic Worms 8-pound test line, bullet head weights and hooks. The Sacramento arm in the small coves in the lower end of the arm from the surface down to 15 feet. In summer, try Salt Creek inlet, Indian Creek, Elmore Bay and Waters Gulch, where Largemouth bass will gather in these areas where there is a fresh water supply and good feed. Find Small mouth at Squaw Creek and Pit River arms and Jones Valley Cove is an excellent smallmouth producer using live minnows off the points. Trout ﬁshing can be excellent up the McCloud arm drifting minnows under a bobber in the McCloud arm. Trolling for trout is also effective with Z- Rays, Kastmasters and ﬂashers and nightcrawlers at Big Backbone, Little Backbone and along the face of the dam(we forgot that on our fishing map, sorry). Shasta Lake has more than 20 forest service campgrounds. 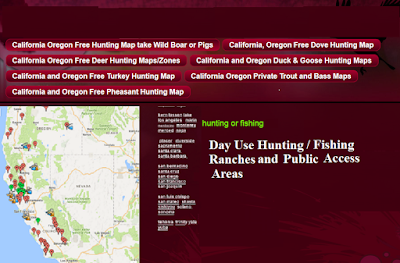 We are your source for Hunting in California and Oregon, public and private. Our sites include FREE maps for access for Turkey Hunting, as well as FREE contact info for 100's of Turkey Hunting ranches, clubs, and Public lands. Our network of Hunting ranches is exclusive, available nowhere else, sourced from our long years of ranch land sales. We help our old customers keep their lands, and you get to benefit, with properties from 1000 to 20,000 acres in size.